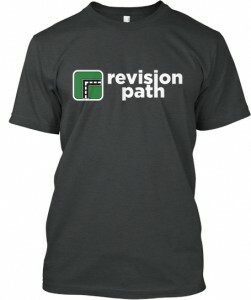 Show the world your support for Revision Path with this limited edition Revision Path t-shirt! It comes in sizes XS-2XL in both a crewneck ($15) and a v-neck ($17) style. Teespring will only print and ship the shirts out if the goal of 25 is reached, so be sure to spread the word. The campaign ends April 13!